If you have ever attended the Top Drop tastings in Vancouver, you will have experienced many 4.5 to 5 star wines according to my rating scale. I recently attended a portfolio tasting by Vintage Corks, and this tasting was in that same quality range. Vintage Corks offers premium wines from US, Italy, Canada and more. You can find Vintage Corks’ wines at restaurants, hotels, as well as private wine shops. In addition to tasting these wines, the added bonus is that money raised from this event went to help support the BC Hospitality Foundation; this foundation supporting its members who are in need of funding for example due to illness, as well as offering scholarships to upcoming hospitality workers and leaders. Congratulations to both Vintage Corks on their 10th anniversary of this portfolio tasting as well as to the BCHF. Below are a few of my favourite wines from this event. 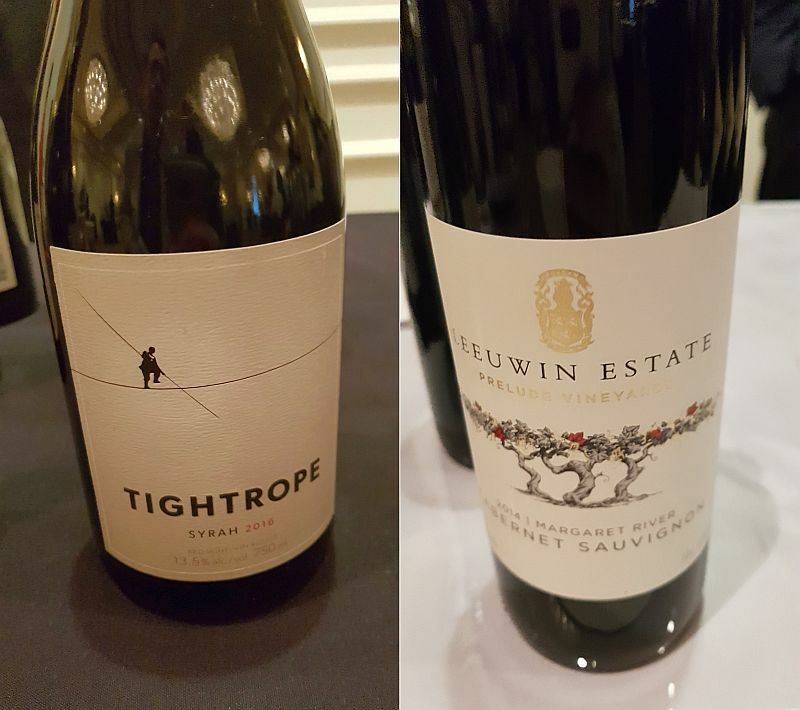 Tightrope Winery Syrah 2016, Canada ($32.49) – 94% Syrah co-fermented with 6% Viognier. This wine has a nice ripe raspberry, red cherry, nutmeg and meaty aromatic notes. Fuller body, off-dry with fine tannins. Flavours of blackberries followed by nutmeg spice. A seductive wine. 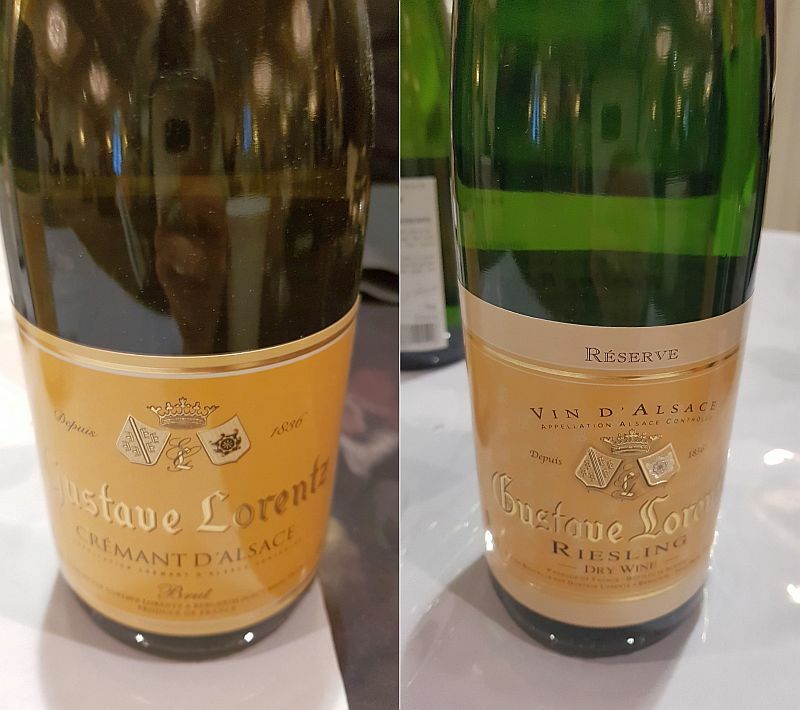 Gustave Lorentz Riesling Reserve 2016, France ($25.49) – I am a Riesling fan as some of you may know, and this was an exceptionally fine example. It has a rich, sweet tropical fruit nose, with more on the palate. You also get some stone fruit flavours. Soft and smooth with medium acidity. The flavours vary between tropical fruit and stone fruit in waves. Very nice. Dievole Podere Brizio Brunello di Montalcino 2013, Italy ($59.99) – Light smoky red cherry aromas in the glass. Round and dry, with a medium body. Red apples on the palate. Light tannins. An elegant wine. Drink now. 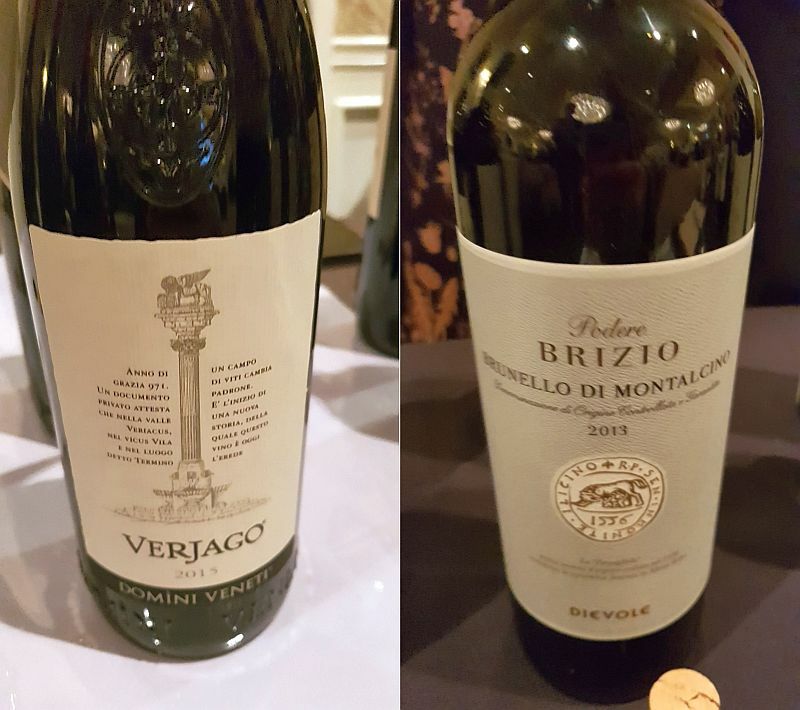 Domini Veneti Verjago Valpolicella Classico 2015, Italy ($39.99) – I asked and was told that Verjago is the valley where the vineyard is located. This wine is deeper ruby in colour, but still translucent. Dusy, darker red fruit nose. Full body with flavours of ripe sweet raspberries, red fruits, sweet spices, in particular nutmeg. Medium tannins. A tasty wine. 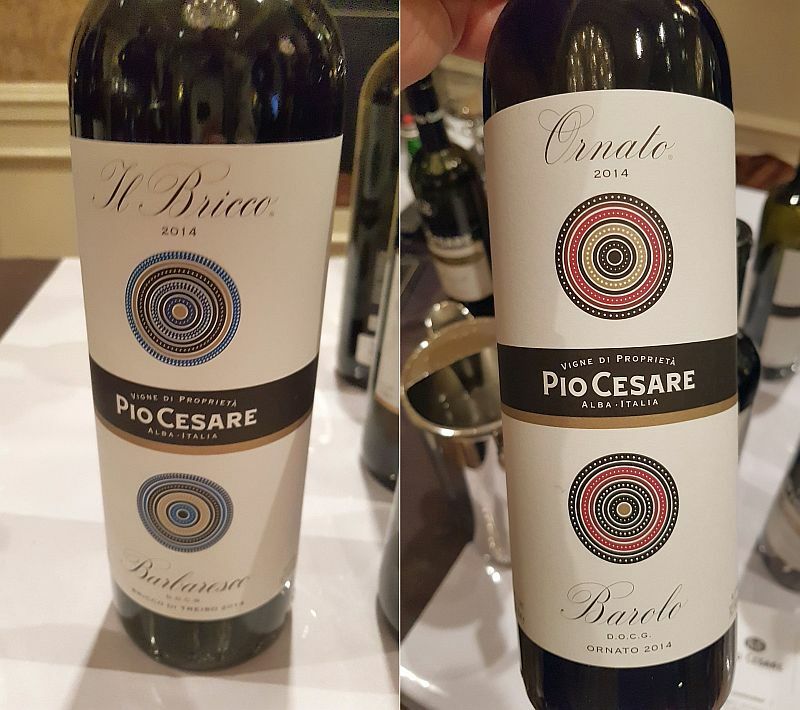 Pio Cesare Classic Barbaresco 2014, Italy ($93.99) – Pio Cesare is a top quality winery from Italy, and everything they make is very enjoyable. I could have listed all of their wines here that I tasted, but I list only a few for you today. Barbaresco is made from the Nebbiolo grape, like Barolo, but it is made for enjoying now, while you age Barolo before enjoying it. This wine is pale garnet in colour. A nice nose showing red fruit, vanilla and nutmeg aromas. Full-bodied, medium mouthfeel and firm tannins. Red cherry and plum flavours supported with medium acidity. Pio Cesare Ornato Barolo 2014, Italy ($148.99) – Pale translucent garnet. Light sweet spice nose. Medium plus body, dry with firm tannins. Red fruits, red cherries and vanilla, with a hint of spice. Marques de Murrieta Capellania Blanco 2014, Spain ($42.99) – another white wine from Spain made from the Viura grape. It has a very nice vanilla, oak, and tropical fruit nose, with more on the palate. Fuller body with a thicker mouthfeel. Medium acidity. Sweet spices to complement the tropical fruit flavours. Awesome wine. 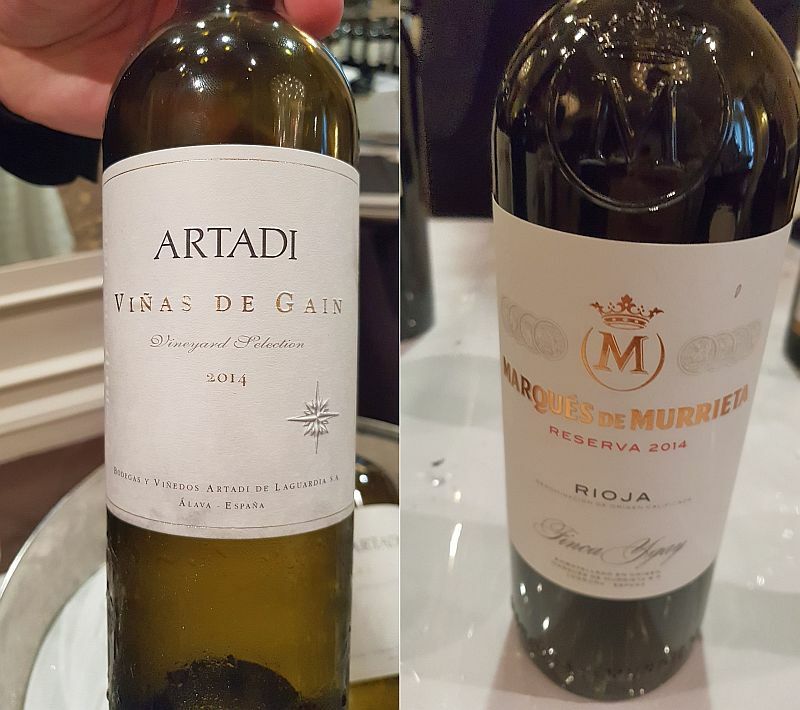 Marques de Murrieta Reserva Rioja Tinto 2014, Spain ($35.99) – Just as I mentioned the quality of Pio Cesare wines from Italy, the same can be said for Marques de Murrieta from Spain. I could have listed all their wines from this tasting, but have limited myself to a few wines for this review. This wine is translucent garnet in colour. Balsamic, nutmeg and dark fruit nose. Full body, soft wine fine tannins. Ripe black cherries, vanilla and light sweet spices on the palate. A youthful wine. Frog’s Leap Winery Rutherford Sauvignon Blanc 2017, USA ($35.99) – Nice asparagus nose. Tasty peach, asparagus and green fruit flavours. Medium bodied, round with medium acidity. Tasty. 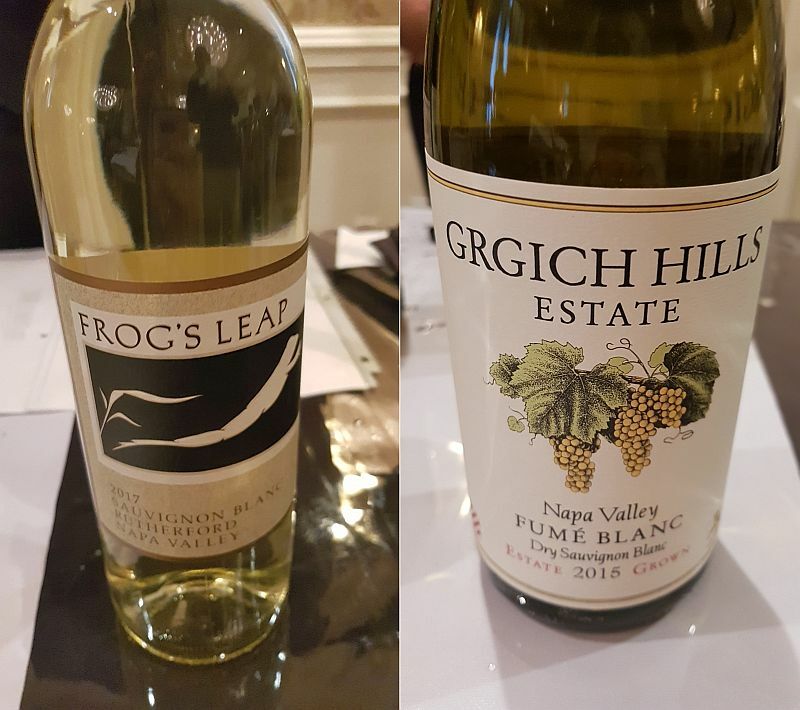 Grgich Hills Estate Napa Valley Chardonnay 2015, USA ($80.99) – This Chardonnay was barrel fermented in French oak and did not undergo any malolactic fermentation. It has a very ripe tropical fruit and butterscotch nose. Full body, thick and round mouthfeel. Mineral. Tropical fruit, vanilla and butterscotch flavours. Longer length. Top quality! 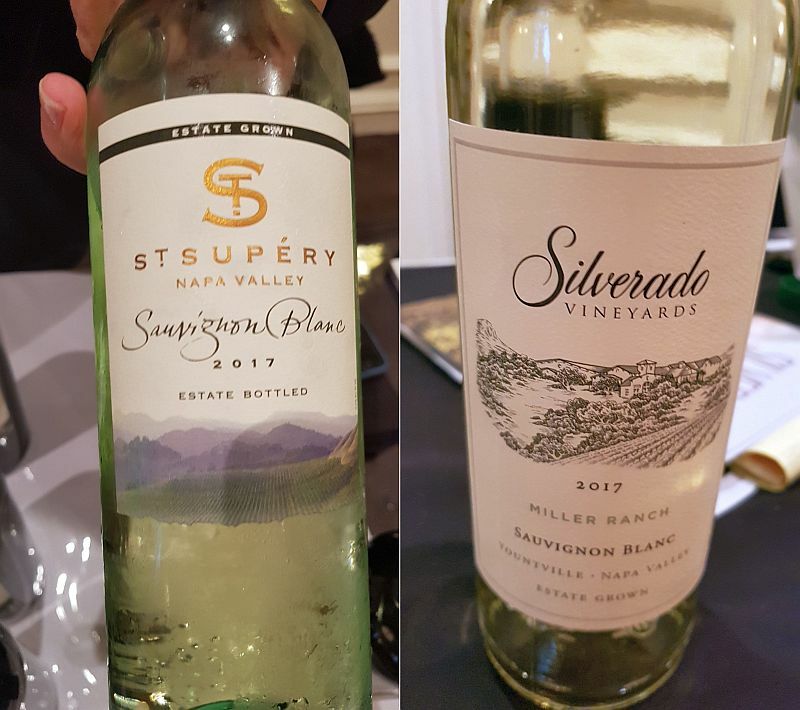 Silverado Vineyards Vineburg Vineyard Chardonnay 2016, USA ($49.99) – Very light lees nose. Round with medium plus body and mouthfeel. Light tropical fruit, stone fruit and vanilla flavours. St. Supery Napa Valley Estate Virtu White Blend 2016, USA ($50.99) – A blend of Semillon and Sauvignon Blanc. It has toasty stonefruit nose. Medium body, round with medium acidity backbone. Very fruity; stonefruit and vanilla, and a hint of butterscotch. Quality. You may ask where are all the California Cabernets? Shouldn’t they be premium wines? Indeed they should, but I ran out of time to taste the California red wines. As you can see, many top quality wines do have a higher price point, but with my tasting and recommending, should make you feel confident to purchase them and enjoy them with friends and family. Maybe for the upcoming Christmas and New Year’s holidays. Enjoy! ← Have a Beaujonomic Beaujolais Day!